Make managing delivery orders a breeze with Visual POS Driver Station. Know what driver delivered what order, how long it took to be dispatched, and how it was paid. deliveries can be managed away from the order taking systems, or Driver Station Integrated where orders are controlled from all order taking terminals, utilising the existing hardware on site, and reducing the cost of ownership. 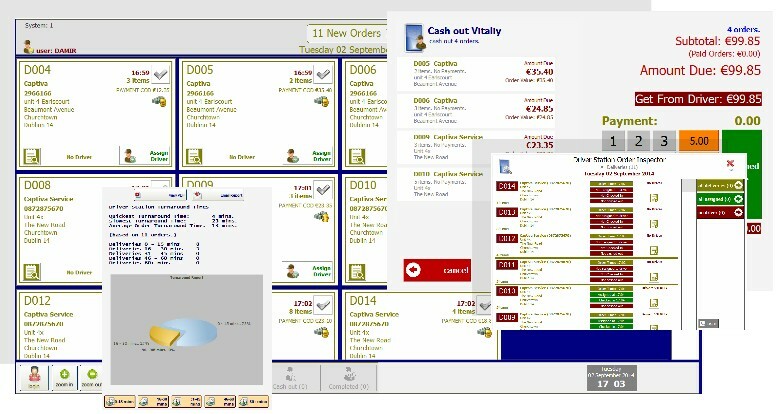 Visual POS Driver Station integrates with Visual POS Classic and Visual POS Fine Dining.